The first is the main undergraduate teaching space on the third floor of the Smeaton building. 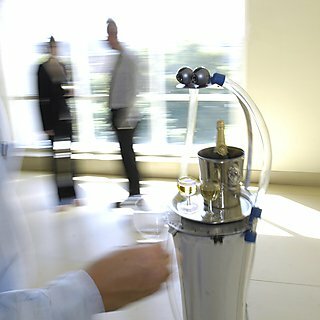 There are three lab spaces that offer access to robotics equipment. 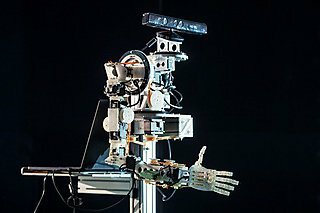 It is home to three Mitsubishi RV-2AJ robot arms and computers is equipped with Workspace 5, an industrial standard robot simulation and off-line programming package. 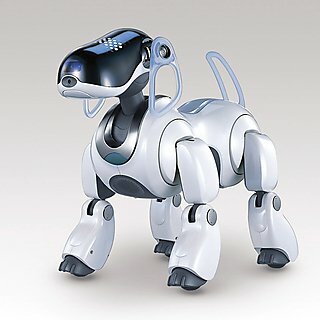 Students are exposed to state of the art, off-line programming and see for themselves the implications of this technology. 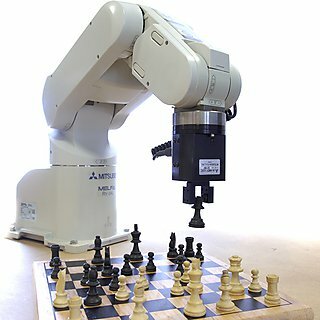 The Mitsubishi robots are used to introduce students to high precision industrial robotics for pick and place tasks, although they are occasionally used for playing chess and for handling cloth for service robotics applications. 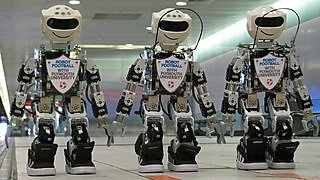 In addition there are 25 Plymouth Nanobots – FPGA, Arduino, Pi controllable two-wheeled robot for 1st/2nd years with VGA camera on-board. 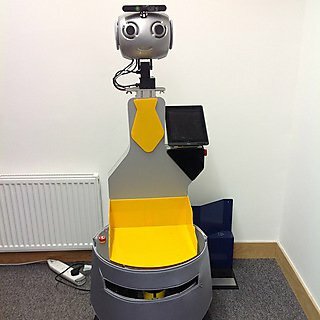 We have twelve Plymouth Humanoids – a teaching version of our kid-size competition robot with 18 DF humanoids with Odroid 64-bit quad core processors, running own robot framework under Linux Ubuntu with OpenCV vision, and Atmel processor R/T gait controller, IMUs, mono camera, wifi link. 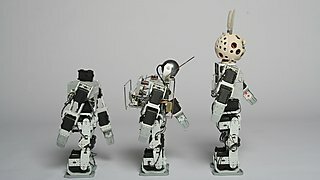 These are used for gait kinematics, and computer vision for 2nd/3rd year and MSc. 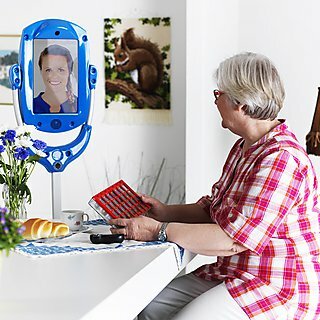 A new robot has been introduced for vision work. 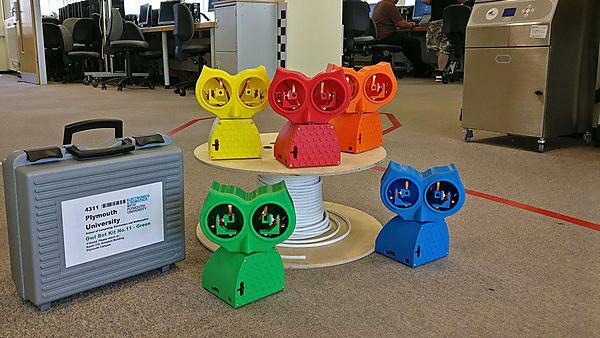 We now have twenty-one Plymouth OWL robot – for stereo vision using Raspberry Pi computer board with twin OV5647 cameras. These link to host PCs for vision analysis and servo control. 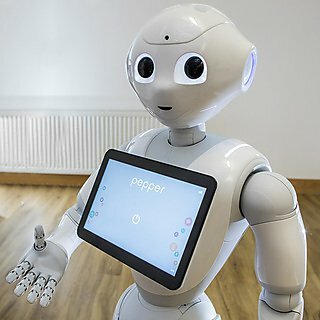 You will learn how to handle eye and neck servo control, and the OpenCV computation for stereo vergence, disparity and saccadic eye modelling for 3rd year and motion analysis for MSc Robotics. 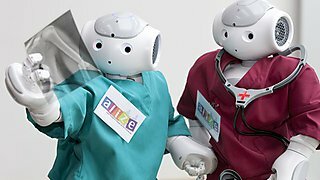 For social robotics we have ten NAO robots for HRI for 3rd year. The Gummi ARM for is available for soft robotics work by MEng final year and MSc Robotics. This is a new soft-robotics design that is being developed for the soft fruit picking industry by Martin Stoelen and his team. At a lower level we have 20 complete Dynamixel 5-axis robot arms used for robotics teaching kinematics. 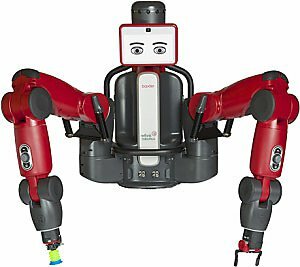 And one Baxter bi-manual robot with ROS interface, which although a research machine, is available for final year projects. 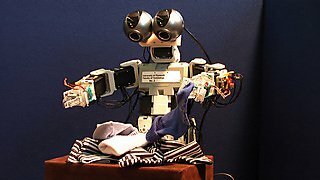 For learning control theory we have fifteen pole-balancing robots for 2nd/3rd year for control theory. And 20 buggies for Robot Software Engineering with Arduino Uno, Pi 3 and Android phones to support distributed development with ROS. And finally 40 e-pucks. To support all of this we offer six rapid prototyping printers supporting PLA, ABS, Nylon, conductive elastomer and other materials, that are dedicated to Robotics & Electronics Engineering students in our project laboratory. And also Solidworks CAD design and Modelling software is available on over 30 workstations for our students.